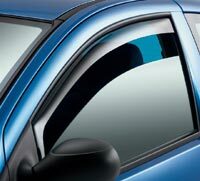 Front window deflector for Ford Expedition 5 door models from May 2002 onwards (including US versions) and Lincoln Navigator 5 door models from May 2002 onwards, sold as a pair. Special order only. Delivery 10 to 14 days.